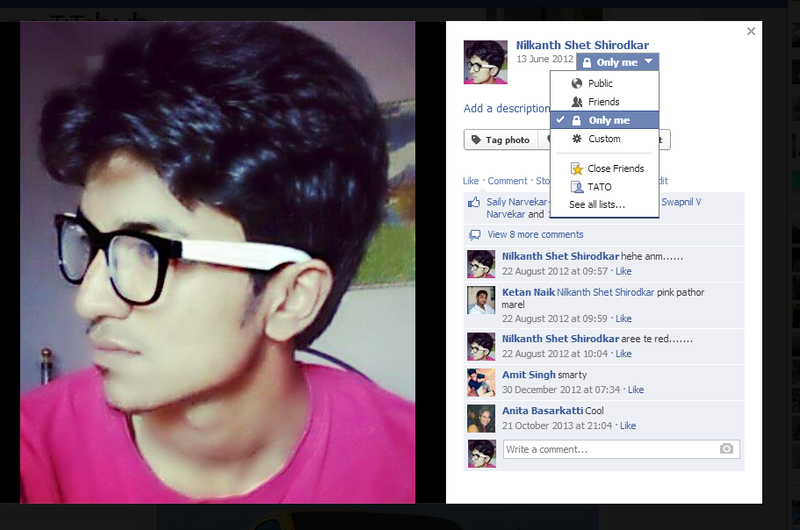 Today I will show you how to Disable Clicks on Facebook Profile Pics, So that Unknown people can’t get your Profile Pic. To Disable Clicks on Facebook Profile Pics you have to do some setting on your profile Pics. If you don’t disable your Profile Pic then anyone can open your profile Pic and also they can download Pic on their Computer. So Just Follow below Steps and you can Disable Clicks on Facebook Profile Pic. STEP 1:- Open Facebook.com and login to your account. STEP 2:- Now go to your profile and click on your profile picture to open it. STEP 4:- Now Select Only Me and you are done.